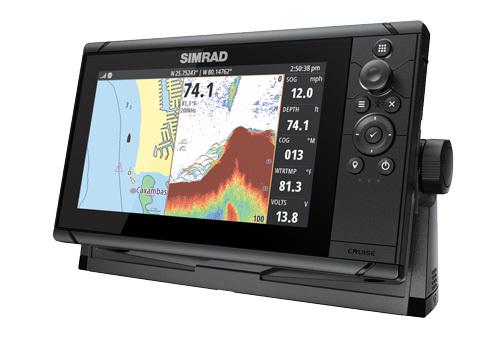 The new Simrad Cruise is the most intuitive chartplotter available. 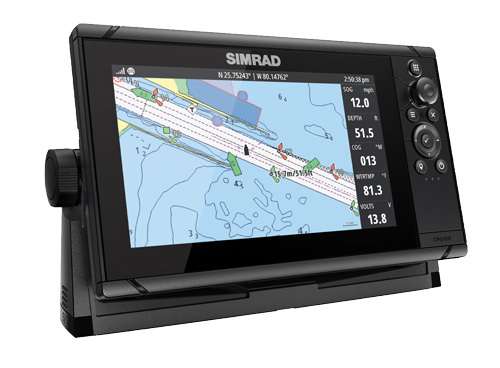 Taking ease of use to a new level, Simrad Cruise is a chartplotter first and depth finder second – offering reliable GPS navigation at an affordable price. 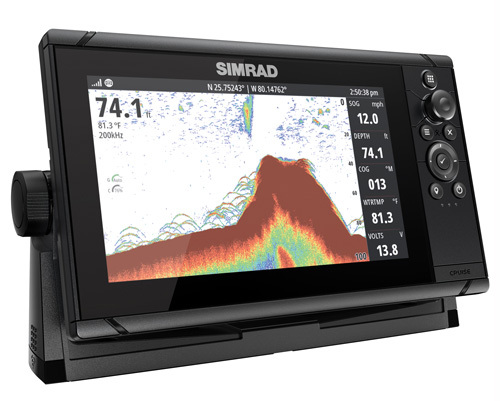 Free from complicated fishing-specific sonar and networking features, with Simrad Cruise you won’t need to master complex electronics -- simply turn on your display and go. Pre-loaded with worldwide basemap, the sunlight viewable display comes with a mounting bracket and transducer. Installation is easy, requiring only a power and sonar cable – eliminating the hassles of networking multiple modules and pulling miles of cable. The user interface is controlled with a rotary dial and keypad, ensuring smooth navigation through menus and provides the vital information needed for a safe and enjoyable time on the water – speed, depth, GPS location, course, battery level and temperature information. The included CHIRP Sonar transducer provides excellent automatic depth tracking for worry-free operation without the need for fine tuning or pre-programming. 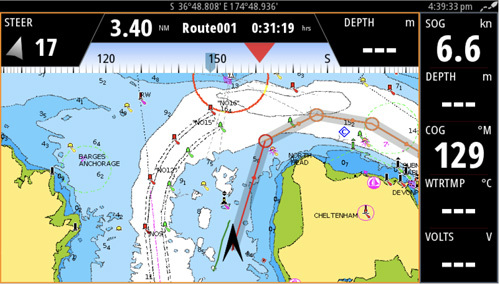 Pre-selected display views consist of: chart, sonar, navigation, chart/sonar, chart/navigation and sonar/navigation. 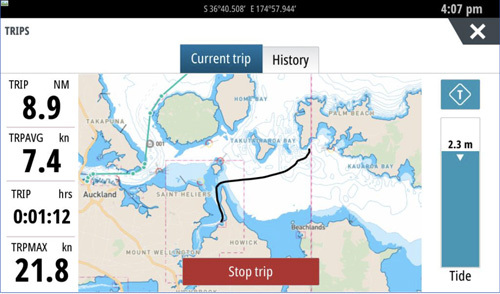 Navigating has never been easier than it is with Cruise. You can navigate to a cursor position, a waypoint or along a predefined route. 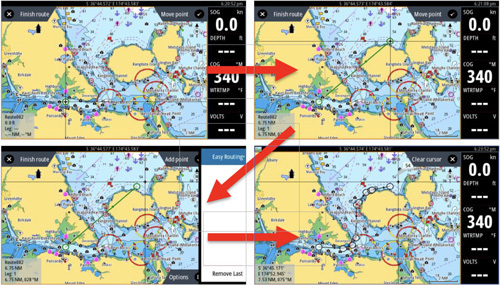 Simrad Cruise is compatible with CMAP Easy Routing. If you have a CMAP MAX-N or MAX-N+ chart card in your unit then you can simply select your start point, select your end point and your chartplotter will automatically fill in the gaps to create the best route for you to take to get there, avoiding land and shallow areas. Trip Intel is a great way to log your trips and keep a record of where you’ve been. There is also a historical record of your trips so that you can compare them. Simrad Cruise may be primarily a chart plotter but it also has inbuilt CHIRP sonar. Cruise sonar provides accurate depth readings and automatic bottom tracking as well as water temperature. Included in the box is an 83/200 transducer which gives you frequency options of 83kHz, 200kHz, Medium and High CHIRP. You have the option of either bracket mounting or dash mounting your Simrad Cruise. 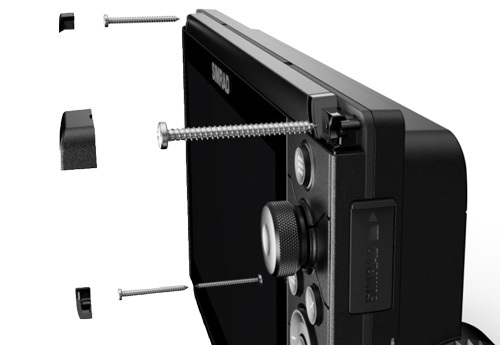 Dash mounting is very easy with the ability to mount the unit from the front, simply pop off the corner bezels to reveal the screw holes. There are only 2 connectors on the rear of the product, one for power, one for sonar. Both connectors are push fit and waterproof.